A mesmerizing novel about women with extraordinary gifts coping with loss, finding forgiveness and especially, learning to forgive themselves. Kidd's strong, irresistible voice catches us up and doesn't let go. The Secret Life of Bees is the story of Lily Owens, a girl who has shaped her life around one devastating memorythe afternoon her mother was killed, when Lily was four. Besides her harsh and unyielding father, Lilys only real companion is Rosaleen, a tender, but fierce-hearted black woman who cooks, cleans and acts as her "stand-in mother." Set in 1964 in South Carolina, a place and time of seething racial divides, violence explodes one summer afternoon, and Rosaleen is arrested and beaten. Lily is desperate, not only to save Rosaleen, but to flee from a life she can no longer endure. Calling upon her colorful wits and youthful daring, she breaks Rosaleen out of jail and the two escape, into what quickly becomes Lilys quest for the truth about her mothers life. They are taken in by three black, bee-keeping sisters, May, June, and August, and Lily is consumed by their secret world of bees and honey, and of the Black Madonna who presides over this household of strong, wise women. Lilys journey is one of painful secrets and shattering betrayals but that ultimately helps her find the thing her heart longs for most. The Secret Life Of Bees allows us into a world apartin a novel whose strong, irresistible voice catches us up and doesnt let go. The Secret Life Of Bees is a mesmerizing novel about women with extraordinary gifts coping with loss and finding forgiveness and especially, learning to forgive themselves. During the day I heard them tunneling through the walls of my bedroom, sounding like a radio tuned to static in the next room, and I imagined them in there turning the walls into honeycombs, with honey seeping out for me to taste. August said, "Listen to me now, Lily. I'm going to tell you something I want you always to remember, all right?" Her face had grown serious. Intent. Her eyes did not blink. "All right," I said, and I felt something electric slide down my spine. "Our Lady is not some magical being out there somewhere, like a fairy godmother. She's not the statue in the parlor. She's something inside of you. Do you understand what I'm telling you?" "Our Lady is inside me," I repeated, not sure I did. "You have to find a mother inside yourself. We all do. Even if we already have a mother, we still have to find this part of ourselves inside." This is a gentle tale brimming over with homespun wisdom that should have wide appeal for women everywhere, but especially for teens and young adults living in the USA. It would also make good background reading for people wishing to understand more about the US civil rights movement in the 1960s – not from the viewpoint of the movers and shakers, but from the perspective of those who, through their quiet everyday actions worked to change things from the bottom up. This would be a great gift for mothers to share with their daughters, and vice versa – and to discuss in book clubs, especially those that span generational boundaries. Lily is a wonderfully petulant and self-absorbed adolescent, and Kidd deftly portrays her sense of injustice as it expands to accommodate broader social evils. At the same time the political aspects of Lily's growth never threaten to overwhelm the personal. The core of this story is Lily's search for a mother, and she finds one in a place she never expected.... She finds her Madonna in a woman named August Boatwright, the proprietor of a honey farm that's a harbor of quiet civility. August and her sisters, June and May, are no mere vehicles for Lily's salvation; they are individuals as fully imagined as the sweltering, kudzu-carpeted landscape that surrounds them. Lily Melissa Owens... the brave girl at the heart of this novel... frees her babysitter, a black maid who has been abused by several white men and put in jail for it, and the two of them follow Lily's instincts to safety. The Secret Life of Bees is one of those novels that leaves a reader more confident Heck, if this kid could do it, so can I. The tale of one motherless daughter's discovery of what family really means—and of the strange and wonderful places we find love. 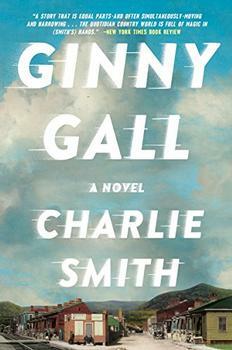 A moving first novel...Lily is an authentic and winning character and her story is compellingly told. The bees presage her journey toward self-acceptance, faith and freedom. ...Sue Monk Kidd is a direct literary descendant of Carson McCullers. Populated with rich, believable characters and propelled by a swiftly paced plot, this debut novel is a cut above most coming-of-age tales. You’ll be glad you went along for the ride. Bottom line Buzz-worthy. Sue Monk Kidd is an extraordinary storyteller. Beautifully written. 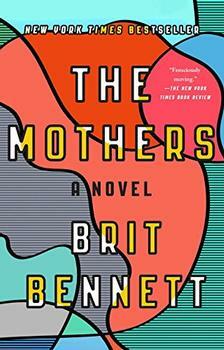 A wonderful novel about mothers and daughters and the transcendent power of love. With imagination as lush and colorful as the American South, a clutch of deliciously eccentric characters and vivid prose, Sue Monk Kidd creates a rich, maternal haven in a harsh world. I really loved this book because of its endless thought-provoking mysteries!!!!!!!!!!! !